We provide Android App Development Services in Patna, Bihar at affordable cost and Android version is considered as the fastest growing platform for Mobile Apps Development Patna. It has smart and rich applications. It gives your business the chance to share 90-100% profit in the market. 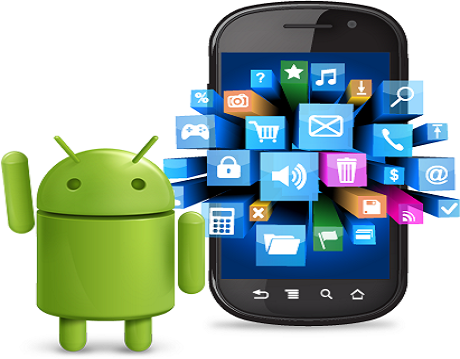 It is very necessary to hire best Android Apps Developers. We offer proficient Android Application Development Services in Bihar. We have a team of highly qualified developers, who are well-acquainted in App Development for Android phones and tablets. Our aim is just to meet your business criteria so as to make you achieve the possible heights in the digital world. City guide/ Compass Based Apps and much more. Ewebtonic is an Android application development company in Patna that offers flexible and easy-to-use Android application for the smart devices. This helps in giving your Business a wide exposure and generating competitive advantage for it. We are known for quality app development services in Patna. We Develop customized Android apps and creates a sole multi-featured app. It encourages better updates and functionality. We use world-class technologies like Android SDK, Media APIs, Location-based Service APIs, Wi-Fi APIs, security architecture, OpenGL and 3D graphics, that overcomes hardware and software fragmentation.